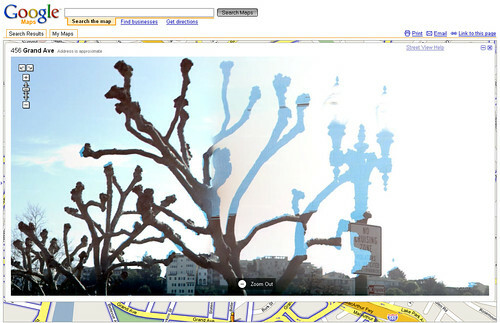 after reading about it on boingboing, i started checking out google street view. i was looking at the shot of the woman's cat in her window and zoomed out to browse through the neighborhood... but what really drew my attention was these glitched-out buildings and trees on the horizon. sir hailstone loses the primary?